The BBC guy mentioned vinyl. That has to make Haley happy. I see that JG has 1.1 million Instagram followers -- nice reach. His post of this snapped up 20K likes pretty quick. He has about 27K twitter followers. (09-08-2018, 01:31 PM)john Wrote: He has about 27K twitter followers. I agree. The owner doesn't call it a parody account as seems usual. Perhaps *no tick* is supposed to be the clue. I got fool because after twitter "recommended" it. I think Haley's relationship with Jeff may finally spring her back into the national spotlight. Once this record comes out, I could see Jeff doing Fallon, Colbert, and others and maybe even host on SNL? Hopefully Haley will join Jeff on some of those shows. 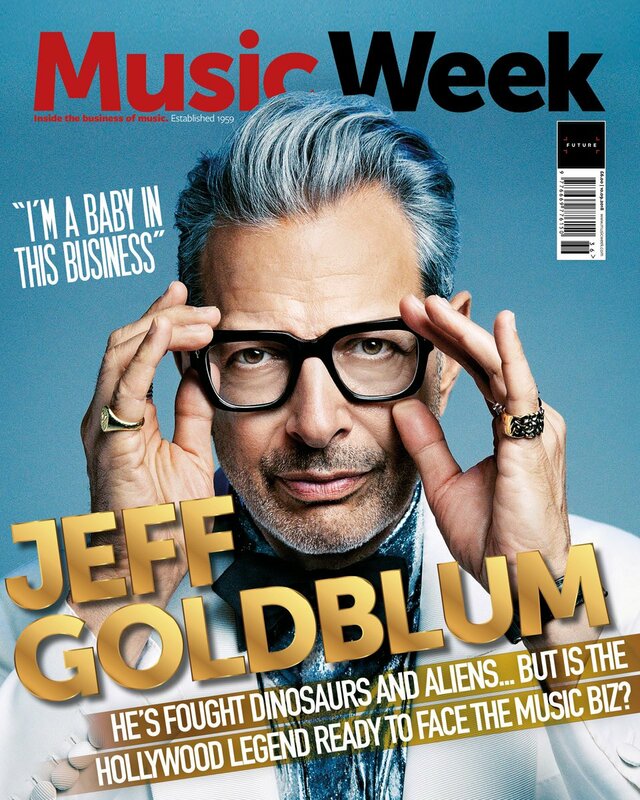 Here is Jeff on the cover of Music Week magazine! What an incredible time we had recording “The Capitol Studios Sessions,” the album I made accompanied by my band, The Mildred Snitzer Orchestra, with special appearances by @tillbroenner_official, @imeldaofficial, @haleyreinhart, and @sarahkatesilverman! @deccarecords Watch more in the short film on youtube. But it does show up if you search "My Baby Just Cares For Me"
Points to who can remember where Haley wore this dress from! was that a prom dress? The recording session is produced by Larry Klein. The video below has some of his thoughts from a video made a couple years ago. Sounds very compatible with Haley and Jeff's vibes in general, which beyond this project include Haley's varied music interests.